In: UI Admission List [UTME/DE] 2017/2018 Academic Session !!! UI Admission List [UTME/DE] 2017/2018 Academic Session !!! 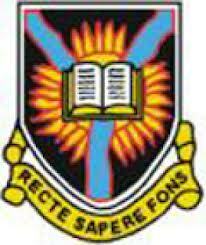 The University Of Ibadan (UI) UTME/DE Admission list for the 2017/2018 academic session is out on the university website. Candidates that applied for admission into the university can now check for their names online as it has been approved and uploaded. Also candidates can also check for the courses they have been admitted for. The underlisted candidates have been offered PROVISIONAL ADMISSION in their Most Preferred Course, as indicated in the link below. See how to check the UI UTME/DEadmission list below. This is to inform all candidates who have been offered provisional admission in the 2017/2018 UTME / Direct Entry admission exercise that the admission list is now available on the admission portal of the candidates. Follow the steps below to access the UI UTME/DE admission list.